Our next event, a visit to Street and Wells on Saturday 15th September 2018, still has places available. The trip is in three parts. From 10.30 we will meet for coffee at a café in the Clarks shopping village, before walking around the interesting adaptation and extension of the original shoe-making factories. 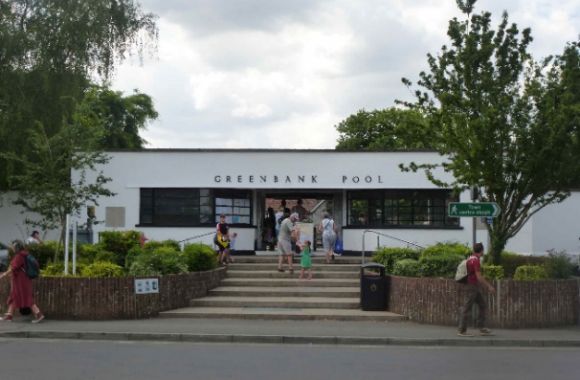 Then we visit the fine Greenbank Swimming Pool (above), and the Clarks Shoe Museum, followed by lunch at the adjacent Bear Inn. After lunch we return to our cars and drive to the new award-winning Charlie Bigham Food Factory on the outskirts of Wells. Finally, we drive into the city for a short walking tour, to see and discuss the various changes and insertions made during the 20th Century to its fine historic streetscape. The day ends with tea at 4pm in the Bishops Palace Tea Rooms, itself an interesting recent creation. A more detailed itinerary, plus a menu for lunch, will be sent out at a later date. The cost is £5.00 per person. All are welcome, including C20 members outside the West Group. If you are interested in coming please contact Jack Konynenburg at jackkon@hotmail.co.uk. 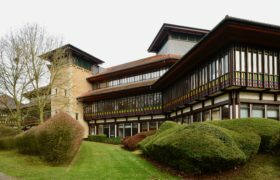 The West Group have been putting together a register of C20th buildings in our region that are of value. We are planning a review meeting of progress to date; the provisional time and date for this is 11.00 on Saturday 17 November in the meeting room of the Ken Stradling Collection in Bristol. Watch out for further details nearer the date.